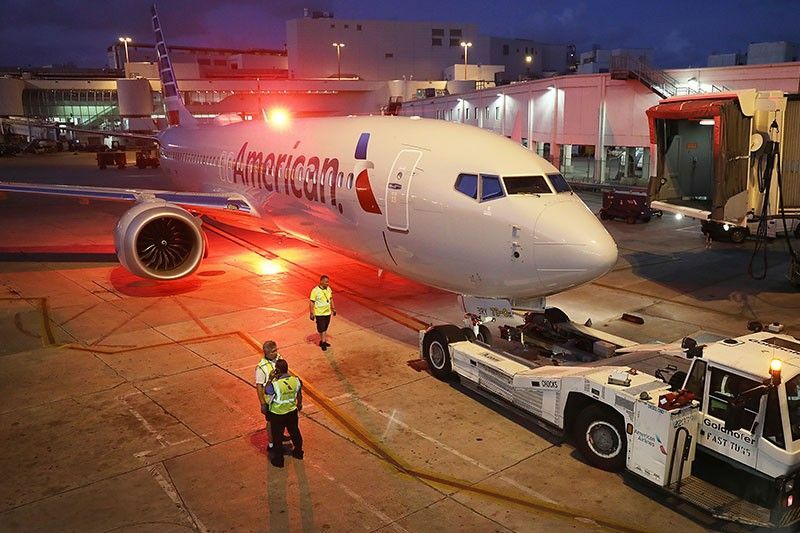 A grounded American Airlines Boeing 737 Max 8 is towed to another location at Miami International Airport on March 13, 2019 in Miami, Florida. American Airlines is reported to say that it will ground its fleet of 24 Boeing 737 Max planes and it plans to rebook passengers after the Federal Aviation Administration grounded the entire United States Boeing 737 Max fleet. MANILA, Philippines — The Philippines is coordinating with the US Federal Aviation Administration (FAA) on the possibility of joining other countries in banning Boeing 737 MAX 8 and MAX 9 in its airspace following two recent crashes abroad involving the aircraft. “In order to come up with a judicious memorandum/order, we deemed it proper to coordinate with the US FAA regarding its order of grounding Boeing 737 MAX 8 and MAX 9 and its possible applicability and validity within the Philippine airspace,” Civil Aviation Authority of the Philippines (CAAP) director general Jim Sydiongco told The STAR. “After the clarification, we will immediately release a memorandum for all the operators and stakeholders alike, as maybe required,” he added. According to Sydiongco, none of the country’s local airlines currently operate the said aircraft. CAAP spokesman Eric Apolonio said one local airline has placed an order for the aircraft, but its delivery would still take several years. “Thus, we have no technical basis, other than what we read in the papers to ground or ban from Philippine airspace the said fleet. For CAAP, our grounding or banning would merely be paper based, if not hearsay,” Sydiongco said. Civial Aeronautics Board executive director Carmelo Arcilla said his agency would abide by the CAAP position on the matter, if any. Arcilla said CAAP has jurisdiction over safety matters in the country’s aviation industry.Reuters reported that over 300 Boeing 737 MAX 8 and MAX 9 passenger jets have been taken out of service worldwide pending investigation following crashes in Ethiopia and Indonesia over the past five months that have killed almost 350 people.